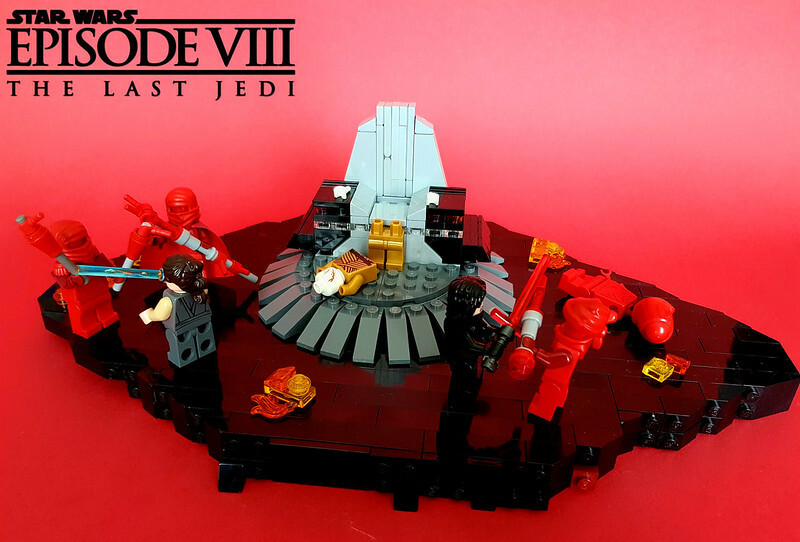 [MOC] Star Wars Episode VIII - The Last Jedi - "Fulfill your destiny! here is another small scene from The Last Jedi. It shows Snoke's death and the battle Kylo and Rey against the praetorian guards. Cool moc man! Nice details! This is a very efficient means of injecting a lot of red into the scene. 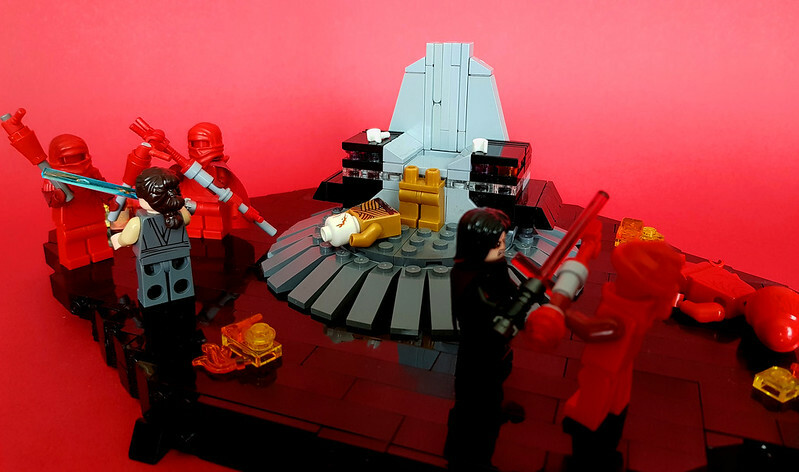 I'm trying to build something similar (Snoke throne room) and I've been using red bricks as a background but they don't achieve the same smooth quality that you see from an unbroken surface. Nice variation on the guards, too.